Quoakle > Quoakle Blog > days out > Are you planning a trip to Brighton? 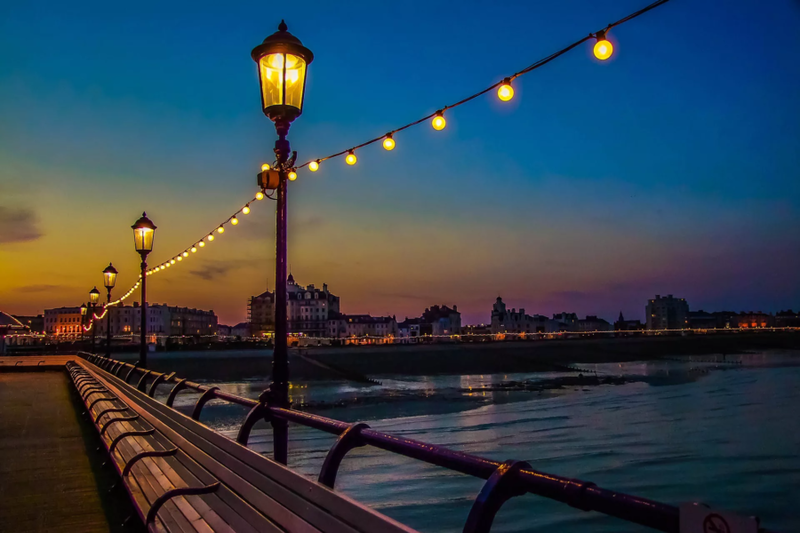 Home to famous residents, including former boxer Chris Eubank and music guru Fatboy Slim, the seaside resort has so much to offer anyone looking for an amazing UK holiday. If you are looking for a seaside break, then look no further than Brighton. Described as ‘London by the sea’, Brighton is only 50 minutes outside the hustle bustle of the nation’s capital and a mere 30 minutes from Gatwick airport. If you’re staying over night and planning on booking a Brighton Hotel, then we can ensure that you’ll be spoilt for choice! Here with Lookers Mercedes-Benz, who offer a variety of cars such as used smart cars, we run through exactly what you need to see and do in the south-east sensation. Brighton is home to an array of restaurants. If you’re looking for a relaxing experience, Veeno Brighton is the top eatery, according to TripAdvisor, gaining an impressive five stars from almost 100 reviews. Based in West Street, the establishment is an Italian wine café that offers beautiful sharing platters and wine tasting experiences. Michael Bremner’s 64 Degrees Brighton is a great alternative for those looking for a little more luxury. Since opening its doors in 2014, the Meeting House Lane eatery has been offering guests the chance to interact with their chefs as they prepare, plate and present their exquisite dishes. As the sun goes down, the seafront is where it’s happening. With a host of trendy dance clubs you’ll be sure to get your groove on into the early hours of the morning. At The Lanes, you’ll find a wonderfully weird club called The Mesmerist. With its 1920s-style setting, you are likely to be welcomed by circus performers, burlesque dancers, party DJs and swing musicians. Elsewhere, The Lion and Lobster in the town centre offers a spot with more than 500 years of history and this atmospheric watering hole could be the perfect spot to sink some delicious pints. The North Laine Pub And Brewery is another must-visit haunt. Some of the freshest pints on the seaside shores can be found here with the venue brewing, yes brewing, its own beer! This highlights that Brighton has something for everyone, whether you think of yourself as a party animal, or just like to relax over a quiet drink. Many of the pubs you’ll find are serviced by local breweries, and if you’re a fan of real ales, the Quadrant at the top of North Street could be the place for you. What attractions does Brighton have? The seaside resort stands along as the only town in Britain to boast a Grade I-listed pier. Opened in 1866, the West pier was originally built as a promenade with an open deck and a splutter of small buildings before a central bandstand was built in 1875 and a theatre added a decade later. Unfortunately, the West pier now stands derelict, with many renovation proposals being discusses. However, the Grade II-listed Brighton Pier, built in 1899, today stands as a curious hybrid of modern installation in a Victorian shell. On offer are a pleasure park of funfair rides, bars and restaurants, making the location perfect for all ages. Here, you’ll find the nation’s largest yacht harbour, with 126 acres offering berthing for up to 1300 vessels. There’s opportunities a plenty, including sailing lessons, seas fishing and diving, but if land is more your cup of tea, the marina village hosts an eight-screen cinema, large bowling complex, restaurants, cafes and bars. Are there any activities to take part in?